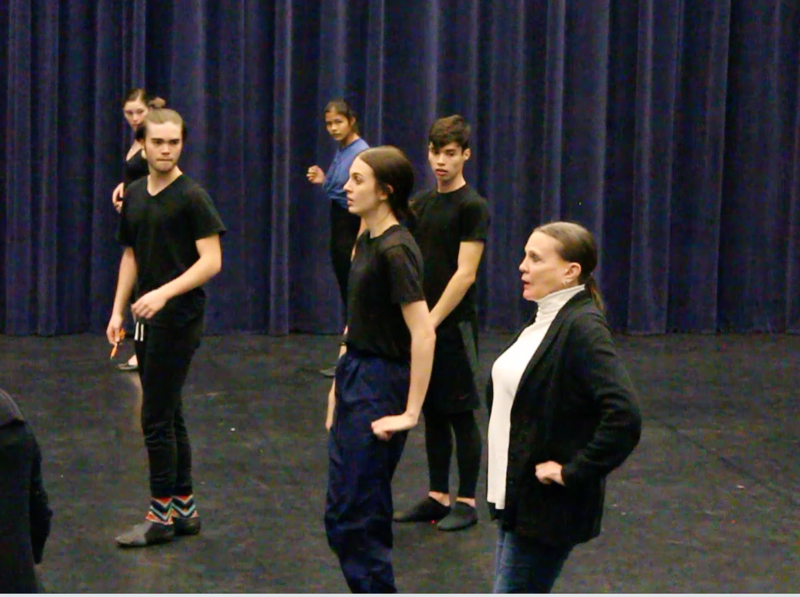 Ann Reinking leads a class at NDI-NM. Of all the great Broadway choreographers, the late Bob Fosse was perhaps the most distinctive. His style was immediately recognizable in shows like Chicago and Pippin and films like Cabaret and All That Jazz. One of the best interpreters of the Fosse style is dancer and choreographer Ann Reinking, and she's in Albuquerque now setting the distinctive Fosse choreography on students at the National Dance Institute of New Mexico. Public performances are February 22 and 23 at the Hiland Theatre. Ann talks about the elements that she thinks make Fosse's choreography work -- "just the right amount of sensuality, technique and elegance, wit and hopefully some charm." And she explains why she enjoys working with NDI-NM. "It's such a good thing for young people. It's through dance, the discipline of dance and the fun of dance . . . that you get a great work ethic and a sense of self and a sense of pride." In this complete version of Ann Reinking's conversation with KUNM, she talks in more detail about her work with Bob Fosse and about her longtime relationship with NDI-NM.